Want to emulate Nintendo 64 on your Android device? Over a million people have already started using Mupen64 Plus emulator Android Edition for their smartphones and tablets. If you're not one of them and you have a new-ish to new Android device and loved the Nintendo 64, then what are you waiting for? Although the N64 emulator for Android is still being improved, lots of work has already gone into making it compatible with Android devices and N64 games. Which games work on this Android N64 emu, you ask? How about Super Mario 64, Super Smash Brothers, Mario Kart 64 and Starfox 64 on your Android Phone, to name a few? Yes, these are actual screenshots! A few games that work with a little lag is Kirby 64 and Pokemon Stadiums 1 and 2. For a complete list of compatibility go to http://code.google.com/p/mupen64plus/wiki/GameCompatibility although the list is not for the Android Edition of the emulator there may be some similarities. Not all roms work, and most that do can see a little a lag depending on your device. Have an Xperia Play and want to use your touchpads? No worries, that's already taken care of because there is a version of Mupen64 Plus AE that is the first Nintendo 64 emulator for Xperia Play to enable the touchpads! You can DOWNLOAD both the emulators for FREE HERE. If that link doesn't work go to Paulscode.com ---> Forums(or Latest Build) ---> Beta Testing. Note that there is an Android version and an Xperia Play version (for touchpad support, also has touchscreen controls as an option). Or you can download the Android N64 emulators from Google Play, formerly known as the Android Market, for a $1 donation. Donations go towards improving the emulators. The main man behind bringing the power of Mupen64 Plus to our smartphones is Paul Lamb. I had the opportunity to interview Paul Lamb for my first article as a Gametrender writer. 1.It is an honor to get to interview you sir. Is this your first interview? 2.Have you heard from the Mupen64 Plus developers about their opinion on you and your emulators? Paul - I often talk with Richard42 on the Emutalk forum. He is actively maintaining Mupen64Plus at the moment. Our communication is generally to ask him questions about how the code works or how to hook various things up. We have not had a discussion about his opinion of the emulator. I also communicate with Ari64, who wrote the ARM dynarec I used in Mupen64Plus AE, but those discussions are also to ask technical questions, so I do not know his opinion of the app either. 3.What made you decide on going through the trouble of making the emulator work with the Xperia Play's touchpads when it's just one specific device of many? Paul - The initial motivation for making it work with the Xperia Play touchpad was one of the initial testers, Epic_bubble. He pointed me to the technical documentation and started a thread on the XDA Developers forum to promote the project. Another motivating factor was a little bit of competition with Yongzh, who said he would not support the Xperia Play touchpad until ICS was supported on the Play. I did an initial proof of concept, and feedback from members on the XDA Developers forum was overwhelmingly positive. I worked out the kinks in the code through discussions with a couple members on XDA forums, and lots of tests by Epic_bubble, xperia64, and others. 4. Will upgrading to Ice Cream Sandwich make our current emulators nonfunctional? If so, how long do you think it will take for you to fix your emulators on your site to work with Ice Cream Sandwich? Sorry, I don't mean to pressure you into meeting a deadline, just really curious as a fan of yours. Paul - The Galaxy Nexus is the only one I have extensive data on related to ICS. This device has intermittent issues with multi-touch, but since it is just one device I cannot say if this is an issue with ICS or just that specific system. I do not expect ICS to pose a huge problem, though. The main issue will be the soft menu, which will interfere with the virtual gamepad. I'm currently working on writing a routine for hiding the soft menu that will be called after checking the Android version, so by the time ICS is more popular, this shouldn't be an issue. 5.Will beta testing ever be considered complete? And what comes after beta testing? Paul - Beta testing will be complete when all components of PC Mupen64Plus have been incorporated into the GUI (the main one remaining is cheats), and when I reach a level of compatibility comparable to PC Mupen64Plus. The main goals will be to eliminate as many game-specific graphics glitches as possible and to optimize the code to run most games full-speed on an unclocked 1GHz ARM7 Neon device. At that point I will consider Beta testing complete, and will begin focusing more on features. There are many things on my wish-list, including things like netplay, plug-in sharing, skin designer, etc. 6.I Believe you've mention that you were thinking about making a Sega Dreamcast emulator, is that still a possibility? Paul - I would still like to tackle this as my next big project after Mupen64Plus AE is out of Beta testing in a year or two. I would need more time to devote to the project than I have currently. 7.Are there any other Roms that I didn't mention above that run smoothly? Paul - That depends entirely on your devices hardware. For modern dual-core phones (like my wife's Droid Razer) many games run smoothly, and most are playable with some tweaking. 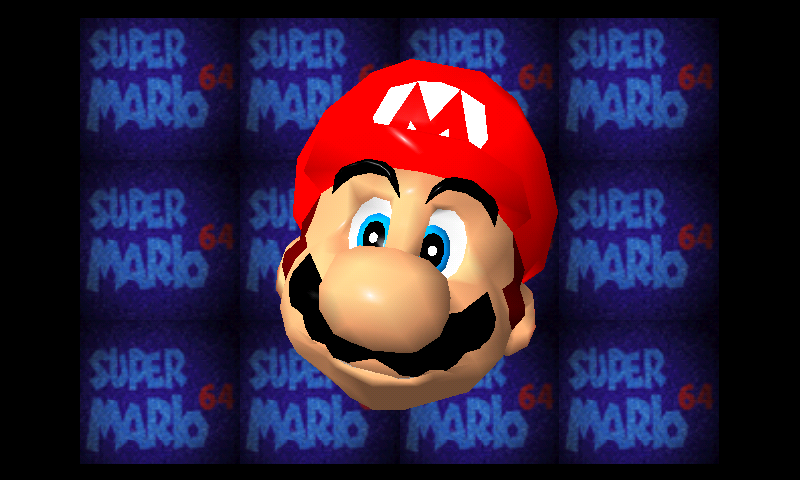 For older ARM6 devices, extensive tweaking is required to even get Mario64 running at a playable speed. I'm trying to target single-core 1GHz ARM7 Neon devices (like the Droid X or Xperia Play) as the standard, since a large percentage of people own phones in this category. But even in that category, there are wide differences in performance due to a lot of different hardware and ROM configurations. 8.Is there anything you might like to say to whoever is reading this? -turning off your phone and don't run anything else but the emulator when you turn it back on. Some apps may run in the background even after you close them and take up processing memory. Many of the bad review/comments I've seen for the emulator are due to the users being too lazy to find their own ROMS from the internet. TO PLAY N64 GAMES ON THIS YOU NEED TO DOWNLOAD A ROM for each individual game (like getting a Super Mario 64 game cartridge to play on a n64 system). This is the emulator imitating N64. You need to use the ROM (game file) for the specific game that you want to play. There is a lot of debate and confusion on the legality of roms, so my guess is YOU MAY ONLY DOWNLOAD AND/OR POSSESS ROMs of games that you actually own the cartridge or original hard copy of). USE A SEARCH ENGINE to find your rom(s). It is asking way too much to ask this unpaid developer to maintain a ROM site (illegal in a lot of ways) and continuously update and improve the emulators. Speaking of unpaid developer, someone has taken Paul's work and posted an "N64 Emulator" on the market . That "free" emulator with ads doesn't give credit to Paul Lamb and the Paulscode team at all and is probably making money off the advertisements in their version of the emulator. I'm sorry Paul that you along with those that have helped you are not getting the credit and appreciation that you deserve . In my opinion, this is gaming history as well as smartphone history(at least for Android). Keep up the good, I mean great work. I hope this helped out someone out there. We can now carry a Nintendo 64 in our pockets. A lot of interesting insights on that conversation. If you want to play the game of the last century and to remember your childhood, then I recommend it https://romsmania.com/. Simple and user-friendly resource, where I found all kinds of emulators and a lot of different games for them. The main thing that it's free and available to everyone.